JT Foxx, business guru, serial entrepreneur and philanthropist is using his brand clout to launch a powerful new initiative to educate small business owners. JT Foxx has launched a large online campaign, including a dedicated website to raise awareness of anti-complaint websites where clients can actually read real reviews from satisfied clients who don’t normally go online to post reviews. At all live events, JT Foxx will be teaching entrepreneurs exactly how to protect their brand through effective marketing and strategic thinking. JT Foxx vows to teach entrepreneurs to protect themselves from former employees using lawyers on contingencies to try and extort employers into quick settlements in order to avoid embarrassment. JT is the syndicated weekend radio personality of the “J.T. Foxx Show” in the U.S. and Canada. He started investing with nothing more than a rusted out Ford pick-up truck, $974 dollars and 1 cheap suit. 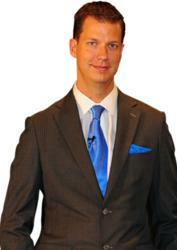 Now just 6 years later, JT Foxx is a serial entrepreneur and started several multi-million dollar companies all over the world, became one the most sought after motivational speakers and recognized as one of the top wealth coaches in the world all by mastering the art of partnering, branding, networking, and marketing.